Great for park flyers and indoor models. Spokes are very tough. 100% plastic and made in the USA. 1 Pair. 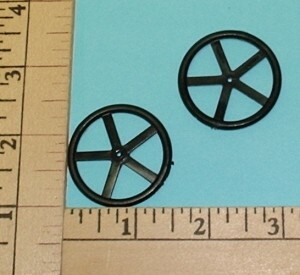 1.4 gr per wheel.